The White Plains accident attorneys at Worby Vecchio Edelman have a separate medical malpractice department, dedicated to practicing in this complex field of law. We wanted to take this opportunity to explain a few things about medical malpractice cases – what does and does not constitute medical malpractice, how these cases differ from the typical personal injury case, and why even when a medical professional errs in performing a medical procedure, it might not constitute malpractice. One of the most basic differences between New York malpractice cases and other personal injury cases is that there is a shorter time period to commence a malpractice case. This time period – the Statute of Limitations – is two years and six months from the date of the malpractice (this assumes that you are not bringing a case against a municipal hospital; the Statute of Limitations is much shorter in a municipal case, and a Notice of Claim must be filed within ninety days of the date of malpractice). Determining the date on which the malpractice actually occurred is not as easy as it sounds. First, the two year, six month period is measured from the date of the event, and not the date on which the patient first discovered that malpractice was committed. In last month’s column, we reviewed Laverne’s Law, recently passed by the New York State Legislature, and as of this date, not yet signed by the Governor. That law would measure the Statute of Limitations in certain types of malpractice cases from the date on which the victim knew or should have known that the malpractice was committed. Next, the date of the malpractice might be subject to the Continuous Treatment Rule, which states that the Statute of Limitations does not begin to run when the physician who committed the malpractice continues to treat the patient for that same event. This Rule is not always easy to apply, and is highly fact specific. It’s better to not have to rely on this Rule. Finally, in a general personal injury case, the Statute of Limitations for an infant – anyone under the age of 18 – is tolled (does not begin to run) until the infant’s 18th birthday. In a medical malpractice case, the maximum infant’s toll is limited to a period of ten years. The definition of medical malpractice is a departure from a generally accepted standard of care in the community. Expert testimony is required to establish that standard of care, and whether the physician erred in treating the patient in the specific manner which occurred. Even when there is a bad result, however, that might not constitute medical malpractice. That bad result might have been due to a known risk of a certain procedure, which does not constitute malpractice. A variation of this situation occurs where there might be more than one accepted mode of treatment which can be administered, and the one chosen by the physician turns out to be unsuccessful. A physician will then argue that she used her best judgment, which resulted in a bad outcome. In other cases, a physician might make a mistake which does not cause the patient’s injury. In any lawsuit, a plaintiff must prove that a defendant’s negligence was the proximate cause of the plaintiff’s injury. A physician in a failure to diagnose cancer malpractice case might argue that an earlier diagnosis would not have changed the outcome of the case. 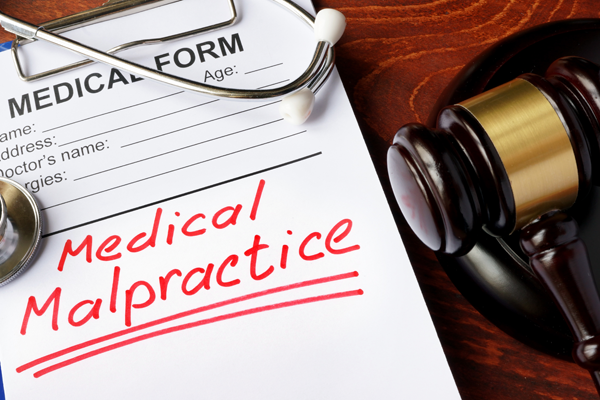 Medical malpractice cases are among the most complex to handle, and try in court. Expert testimony is crucial in order to establish the standard of care, and that the defendant physician departed from that standard of care. The White Plains medical malpractice law firm of Worby Vecchio Edelman will evaluate your case for free, and without obligation. We’ll tell you if we think you have a case, and we’ll tell you if we think you don’t have a case. We’ll answer all of your questions, and explain our thinking to you. Call the law firm of Worby Vecchio Edelman for a free consultation. There’s never a fee unless we recover money on your case.